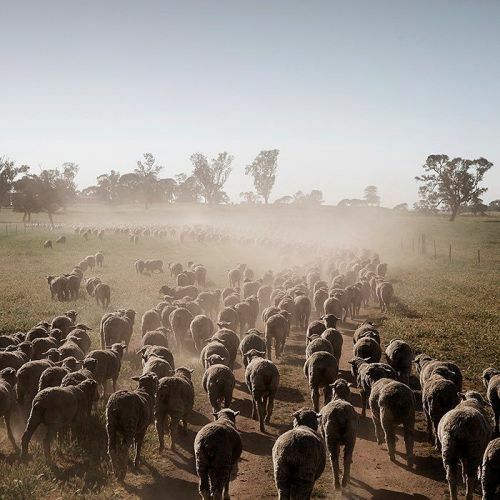 "A herd of #sheep near Dunedoo, a small town 200 miles northwest of Sydney in Australia. In 2008, the New South Wales government announced plans to build a coal mine in Dunedoo, promising jobs and cheap power. But as coal prices have plummeted to their lowest level in years, the government has not been able to find a mining company willing to open a mine. Now, uncertainty has hobbled businesses in the area, and young people are heading elsewhere. @adamfergusonphoto photographed #Dunedoo on #nytassignment." By nytimes on Instagram.